Conor O'Malley, James Chambers, Sean Hoare, Kenny Browne, Ian Bermingham (C), Greg Bolger, Killian Brennan (Conor McCormack '86), Conan Bryne, Chris Forrester, Aaron Greene, Ciaran Kilduff. 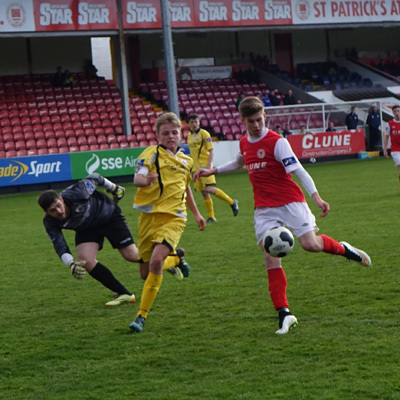 Aaron Greene was the hero for St Patrick's Athletic as he bagged a brace in a 2-1 SSE Airtricity League Premier Division victory over winless Limerick FC at a windy Jackman Park in front of just 425 spectators. Given Dundalk's perfect start to the season, Liam Buckley's charges knew a win was required to keep the gap manageable and they took the lead on the half-hour mark. Killian Brennan played a near-post corner to the feet of Chris Forrester, whose close-range effort was stopped by Limerick keeper Conor O'Donnell. A second effort from Forrester was also blocked, and after a scramble in the area, it was Greene who poked the ball home from six yards out. Pat's made it 2-0 in the 73rd minute with a moment of magic from Greene as his first-time chip from the edge of the area made the game safe. However, a Limerick side that have improved markedly since shipping two heavy early season beatings got one back almost immediately. 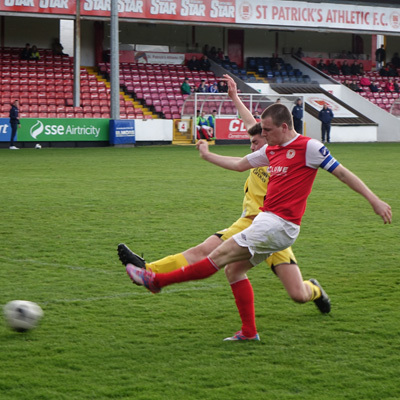 Ian Turner was felled by Kenny Browne on the edge of the area but picked himself up to rifle the resultant free-kick low and hard into the back of the Conor O'Malley's net. Martin Russell's men tried to push on for the equaliser but Pat's used their experience to slow down the play and held out for the 2-1 victory. Martin Russell's team might deem themselves unlucky not to have secured a point with a much improved second half showing asking questions of the Pat's defence. Indeed, had one of two penalty shouts gone their way - one for a possible hand ball by Bolger and the other for a tangle between Clarke and Bermingham - Limerick may have secured their third draw on the bounce. From Liam Buckley's perspective it was a job well done, with the Jackman Park surface never likely to suit his talented squad of players. 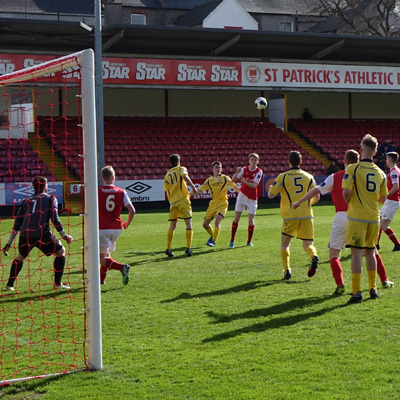 Bolger, Forrester and the goalscorer Greene all stood out for the Inchicore men, although the pacey Dean Clarke did cause trouble for Kenny Browne and Sean Hoare at the back. 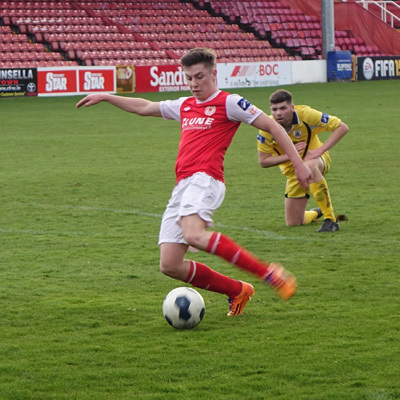 St Pat's now travel to a Longford Town team fresh from their first win back in the top flight, while Limerick face the daunting task of welcoming the champions Dundalk to Shannonside on Easter Saturday.